Calling all experienced trainers/assessors who need to obtain TAESS502 Design and develop assessment tools to meet ASQA credential requirements by 1 April 2019. Design and Develop Assessment Tolls TAEASS502 is a core component of the new Certificate IV in Training and Assessment TAE40116. As of 1 April 2019, trainers and assessors who holdthe TAE40110 must meet the new requirements of the Standards for Registered Training Organisations (RTOs) 2015. 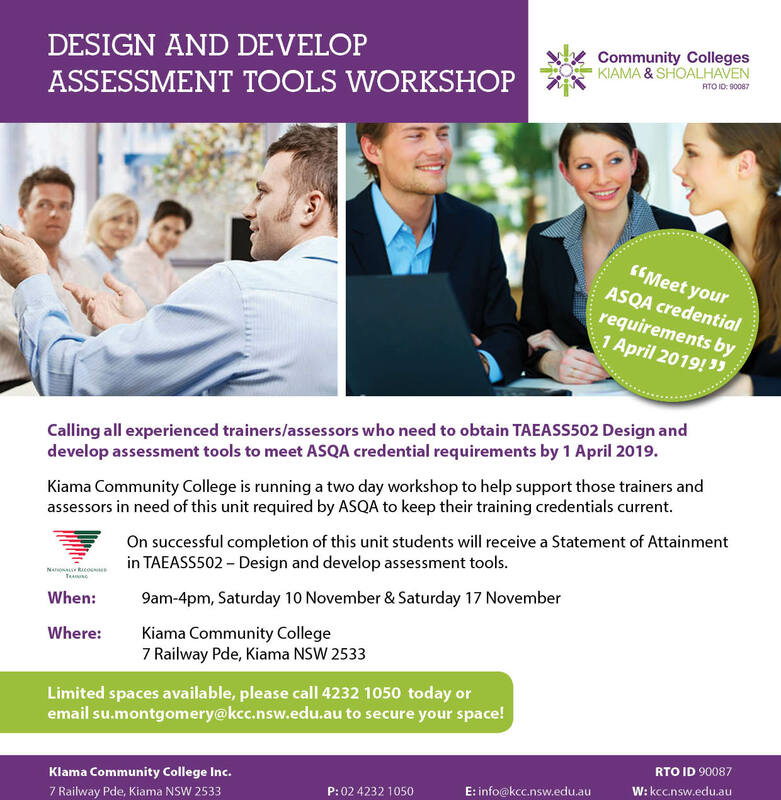 Kiama Community College is running a two day workshop to help support those trainers and assessors in need of this unit required by ASQA to keep their training credential current. On successful completion of this unit students will recieve a Statement of Attainment in TAESS502 - Design and develop assessment tools. Limited spaces available, secure your place today!